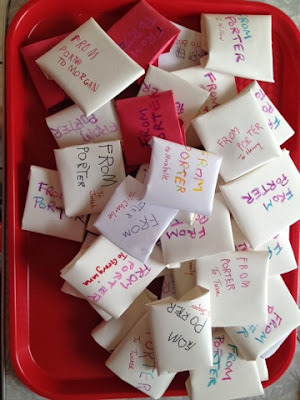 Both the kids came up with creative homemade Valentine projects that were a little labor intensive but turned out quite cute. 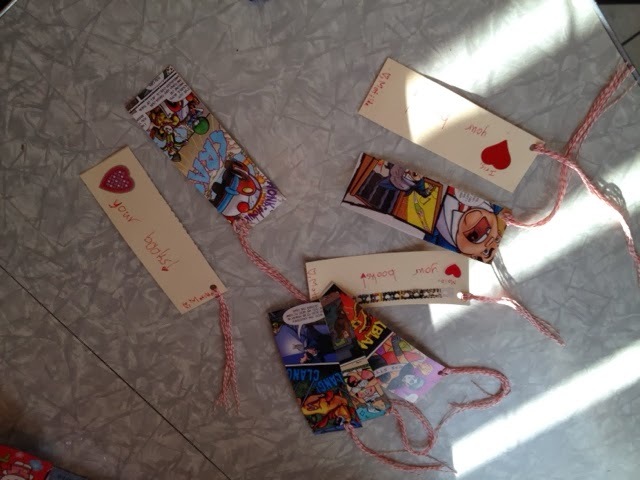 Thankfully they both stuck with it to help making them, so it wasn't quite a mommy-Valentine-sweat-shop around here. After a trip to Legoland and a viewing of the Lego movie (Go see it right now if you haven't! Really.) this month, Porter was set on a Lego theme. We got creative with a new mold and a old box of busted crayons and made some really fun looking lego crayons. He hung in there to label most of the 40 packets for school friends, a giant task. 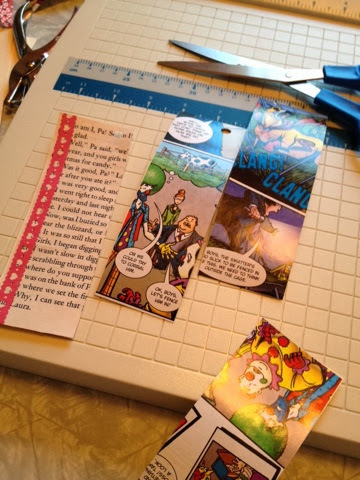 Matilda, renowned by her classmates for a love of reading, settled on making bookmarks. She wrote "Love Your Books" on the back of each one and signed it. Only slightly silly when you think about how she chopped up books to make them!